On Friday, Circuit Judge Carol-Lisa Phillips ordered Snipes to transfer a tally of all votes cast to the campaign of Republican gubernatorial nominee Gov. Rick Scott by 7:00 p.m. EST — a deadline the Broward official did not meet. 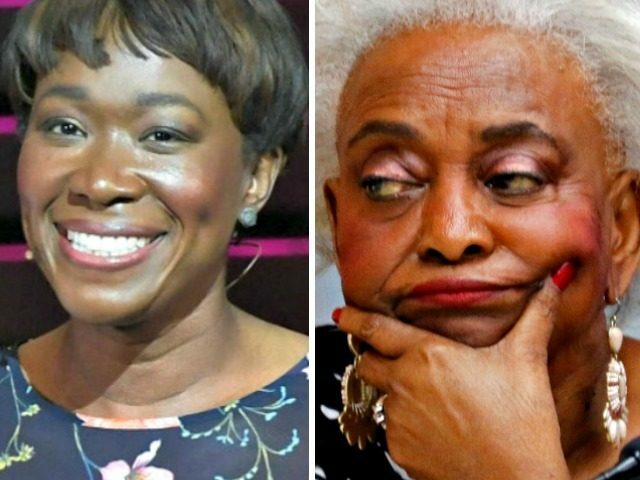 Snipes is the subject of lawsuits contending she has mishandled vote counting in Broward for the midterm election that ended Tuesday and blocked access for candidates who say they should know how many ballots have not been counted and how her office is counting them. Broward’s vote counting since Tuesday has greatly narrowed GOP leads in the Senate race, in which Republican Rick Scott holds about a 15,000-vote margin over Democrat Bill Nelson with more than 8.1 million ballots cast; and in the governor’s race, where Republican Ron DeSantis leads Democrat Andrew Gillum by about 36,000 votes. REID: Can you explain why there was that weird undervote in Broward County? Was there anything in the numbers that tell you why and what happened? FERNAND AMANDI: Before we get into that, on behalf of the other 49 states and the rest of the nation, to quote Brittney Spears — “Oops we did it again.” It’s amazing to me to think that 50 years ago this country could put a man on the man but in 2018 the nation’s most important political state can’t quite some to get the votes counted in time and figure it out. As to that under-ballot, it is a little bit bizarre that that happened. Am I the only one who finds somewhat suspicious and curious that these events when they do happen in Flordia, whether it be in 2000 or now in 2018, the problems always seem to be exasperated in the two counties that have the biggest Democratic counties in the state — Miami-Dade County and Broward County. The other thing I find suspicious and curious is, I may be the only one, whenever we get to the legally mandated recount situation there’s always a collective Republican freakout. All we are trying to do in the state of Florida is count the votes…. Why are the Republicans, nationally and in Florida, losing their collective minds when all that is trying to be done and all that is being asked to be done is to count every single vote? REID: Yeah. By the way, the same kind of intimidation tactics that we saw in 2000, they are rolling them out again, which makes people suspicious. If you are not worried that counting all the votes will bring in a Democratic wave, the other side, if there’s something else going on, that’s why you flip. Andrew Gillum isn’t freaking out and he’s behind. He’s not freaking out. But this is the tenor of the Republican protest. This is what they are mouthing, the most Democratic County, the largest country in Flordia. Here is the way they are treating Brenda Snipes, who is the long-time Election Supervisor there, who by the way is an older black woman in the Deep South. Just keep that in mind as you watch this video.